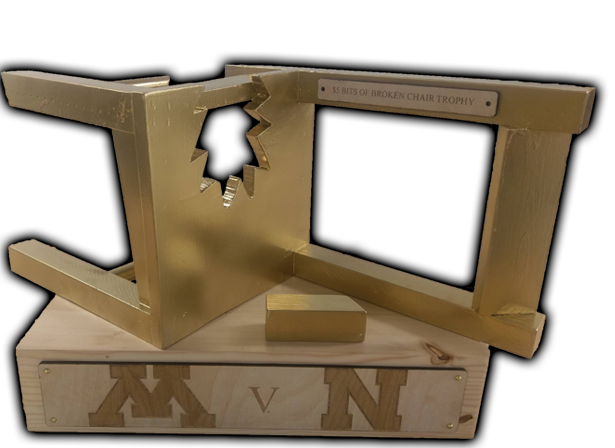 $5 Bits of Broken Chair Trophy is back! 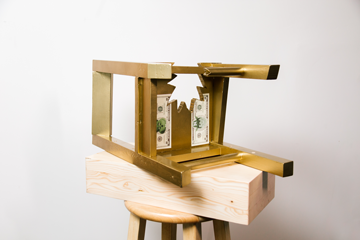 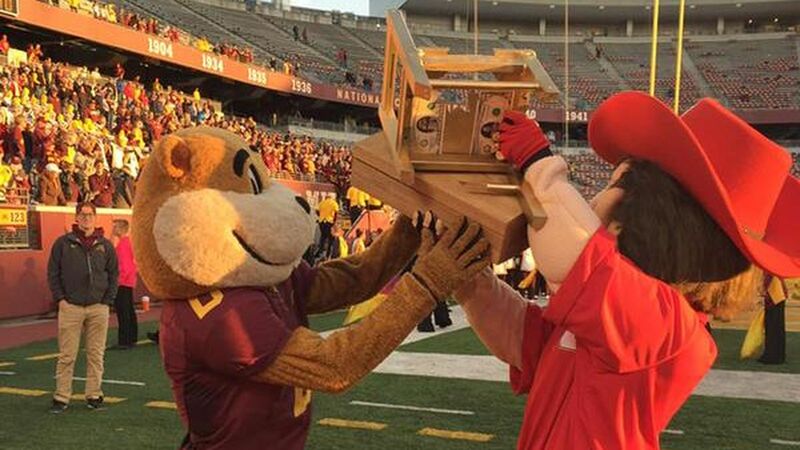 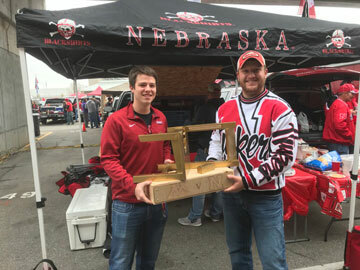 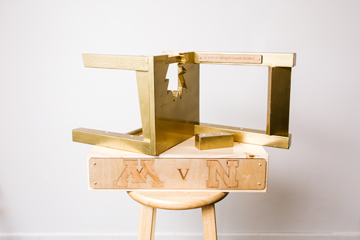 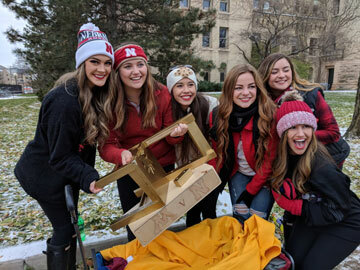 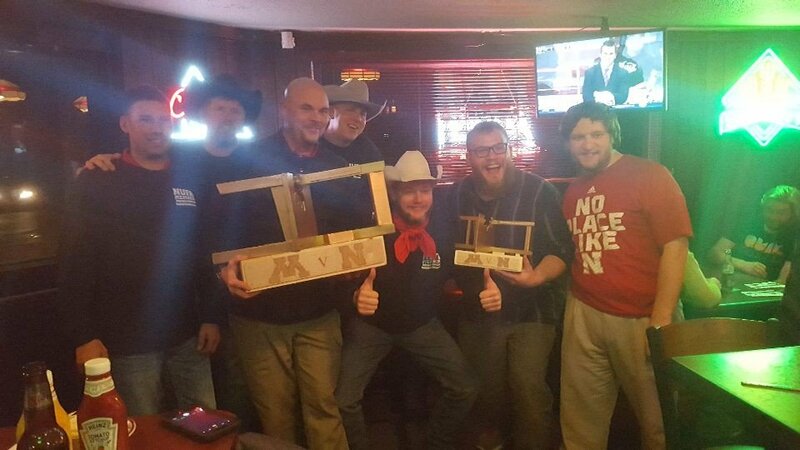 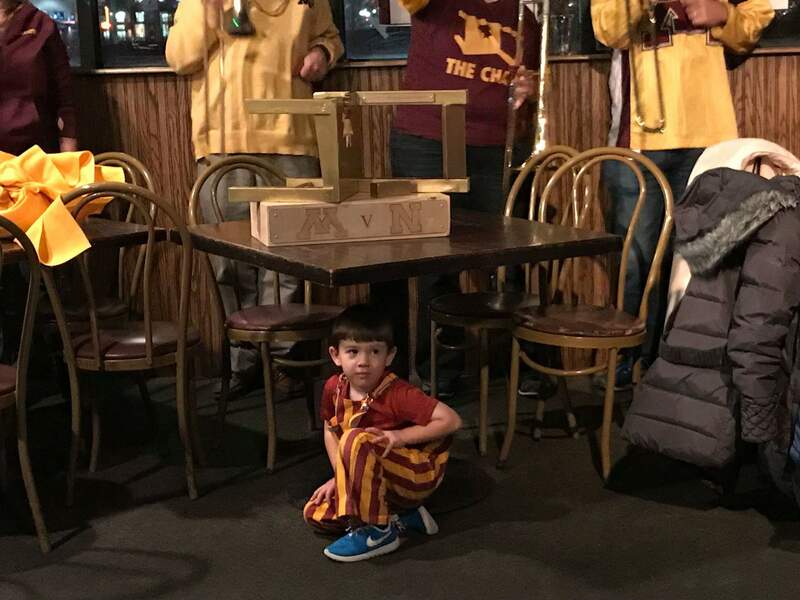 The $5 Bits of Broken Chair Trophy was established in 2014 prior to the November B1G football match-up between the University of Nebraska and the University of Minnesota. 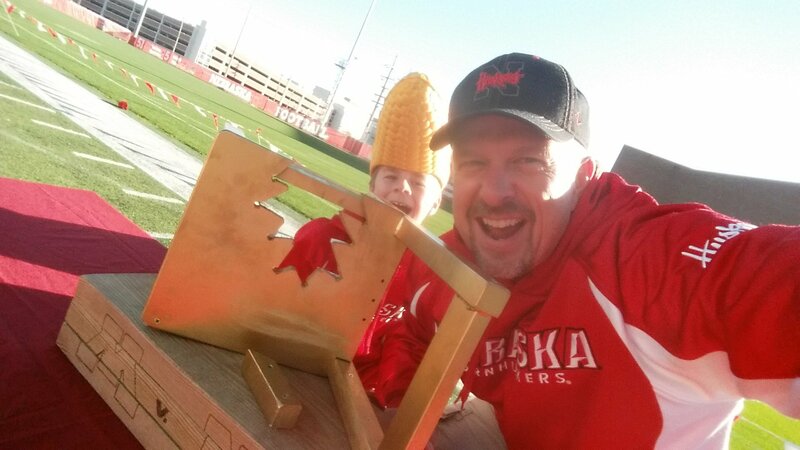 In an exchange on Twitter, accounts for Minnesota's mascot Goldy Gopher and a parody account of then Nebraska football coach called Fake Bo Pelini (@FauxPelini) made a wager. 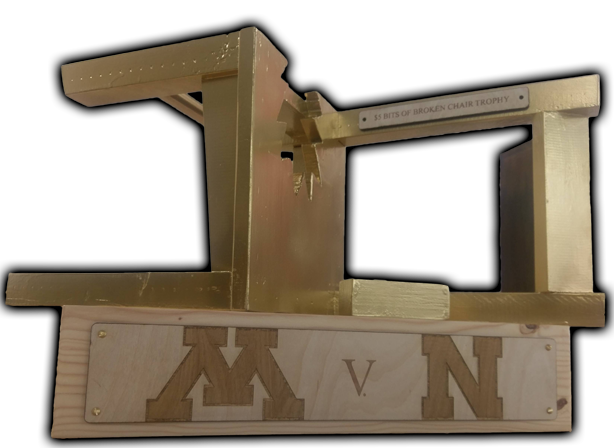 Prior to the game, some University of Minnesota supporters went ahead and created that trophy. 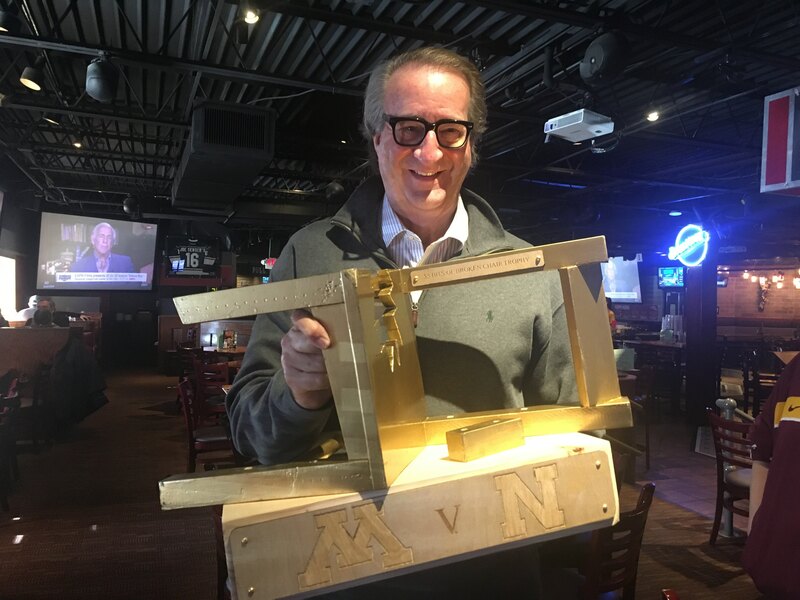 It was brought to Lincoln for the November 22, 2014 game and returned to Minneapolis after a 28-24 Golden Gopher victory. 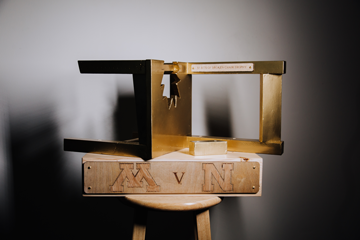 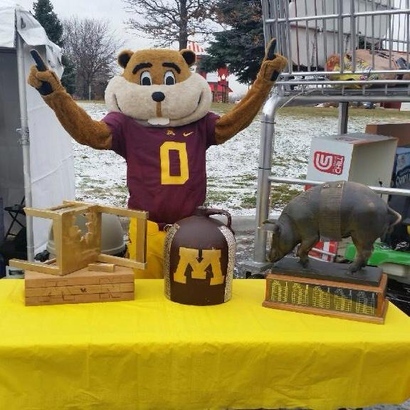 The trophy was proudly displayed at University of Minnesota events by Goldy until the following year when it was transferred to the Husker squad. 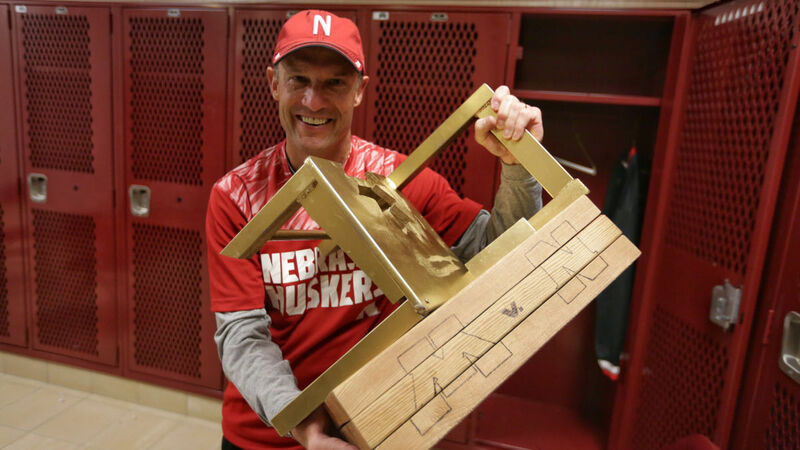 Nebraska players celebrated the 48-25 victory by passing the trophy around the locker room. 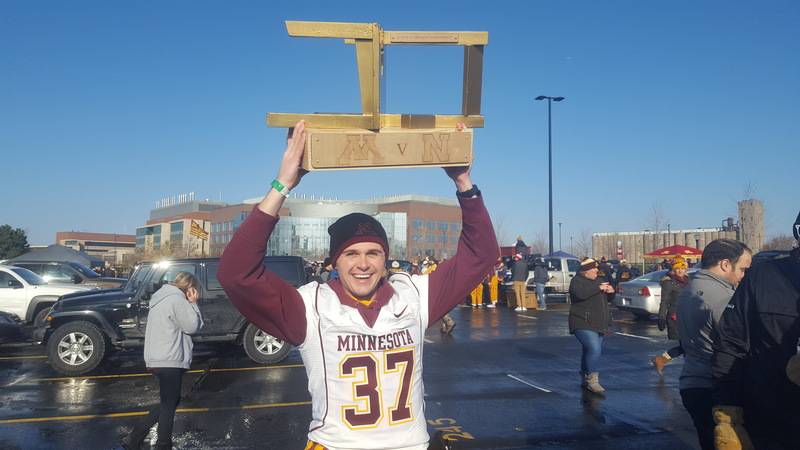 Leading up to the 2016 match-up, rumors began to circulate that the athletic departments of both Universities were planning to retire this unofficial tradition. 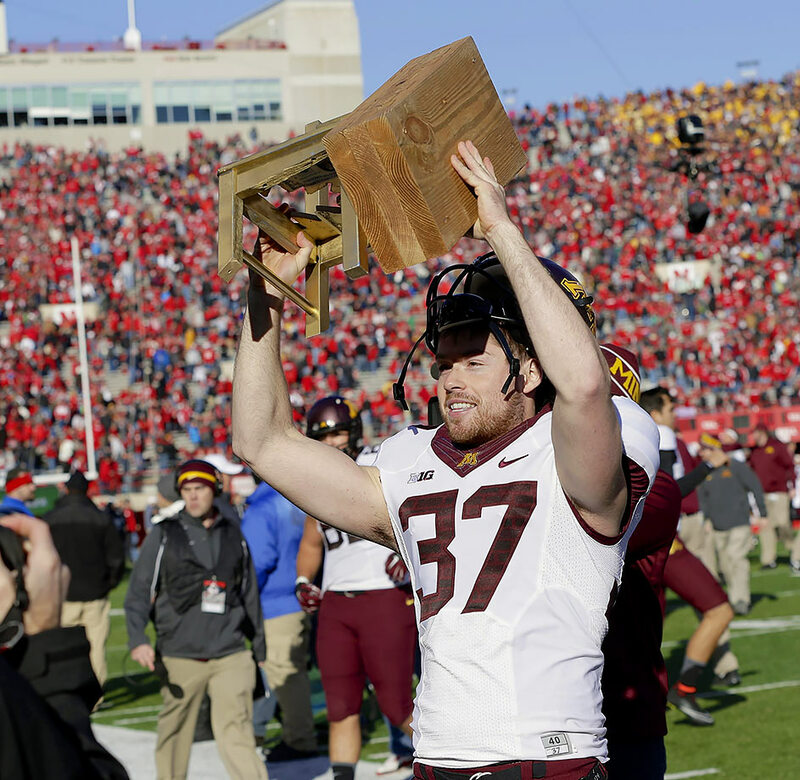 Nebraska defeated Minnesota in Lincoln by a score of 24-17, but the trophy was nowhere to be seen. 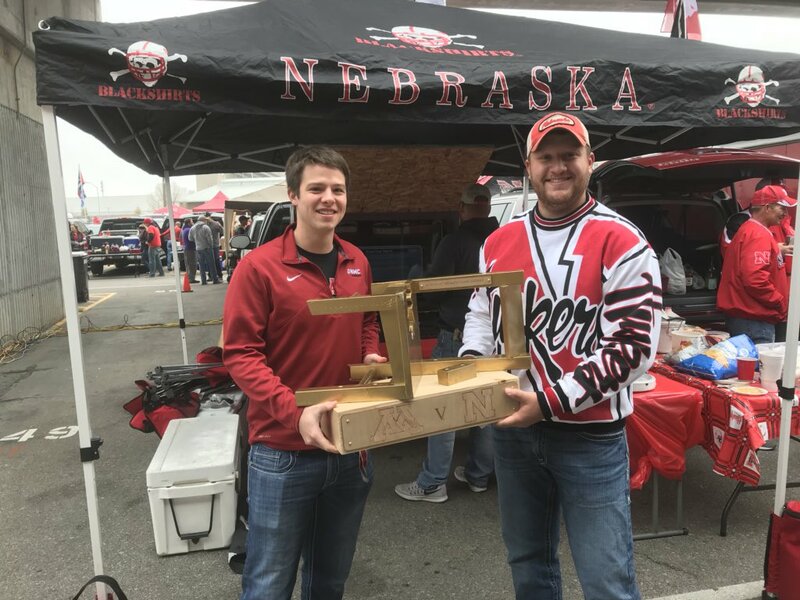 For the better part of the next year a group of Husker fans, feeling a responsibility to the rivalry, plotted to recreate the vaunted symbol of friendly competition. With a new trophy in hand, Husker and Gopher fans are collaborating to use the trophy's popularity to benefit charitable organizations connected to each University. 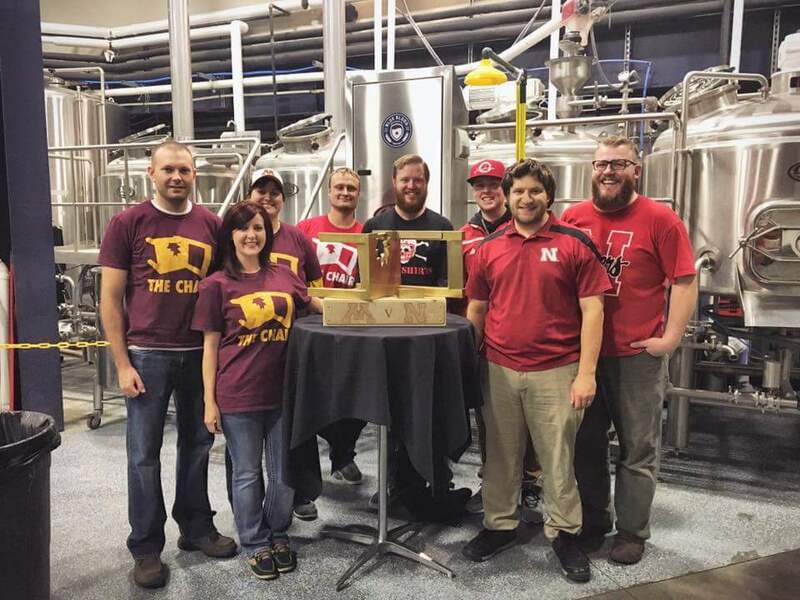 Last year we were able to raise $7,500, well above our original goal of $5,000! 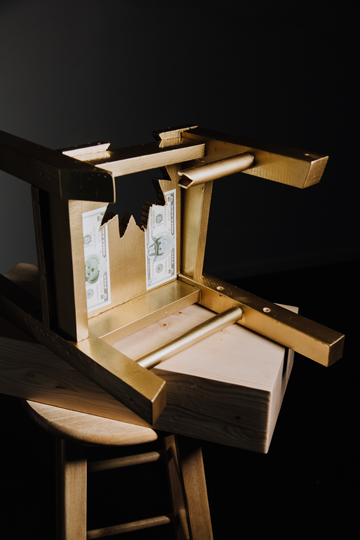 We're setting the bar even higher in 2018, shooting for $10,000. Photos courtesy of Nikki Moore Photography.